A Lifford barber trimmed his ESB bill after having an illegal device fitted to his house. Brian Gallagher fitted the device at his home after he was told about it by a customer. Gallagher, of Ard Glass, Lifford, had the device fitted for three months which disguised the reading on his outside meter at his home. 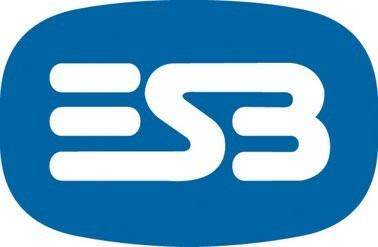 The matter was only discovered when an ESB employee called to the house and found the device. Solicitor Ciaran Liddy said the ESB did not come to court to recover the revenue lost but to warn people about the dangers of such devices. Mr Liddy told Letterkenny District Court the device had been fitted by a company from Northern Ireland and had been operated between 1st July and September 6th, 2010. “The ESB’s overriding concern is one of safety and they want to put out that this is extremely dangerous as the full flow of electricity enters the house at this point where the device was fitted,” he said. Solicitor for the accused Frank Dorrian said Gallagher bought the device after an innocent conversation while cutting someone’s hair. “It was a fairly innocuous conversation and he was not aware of the hazard this device caused,” he said. However Judge Paul Kelly said this was a very serious matter and he knew of injury and even loss of life from installing such devices. It is very appropriate that the ESB has brought these proceedings to show people what can be a dangerous part of everyday life. “Luckily for him he was not involved in the mechanics of fitting this device but Mr Gallagher knew it was wrong to put in this device to reduce his bill,” he said. Judge Kelly fined Gallagher €350 under the Energy Act 1995.